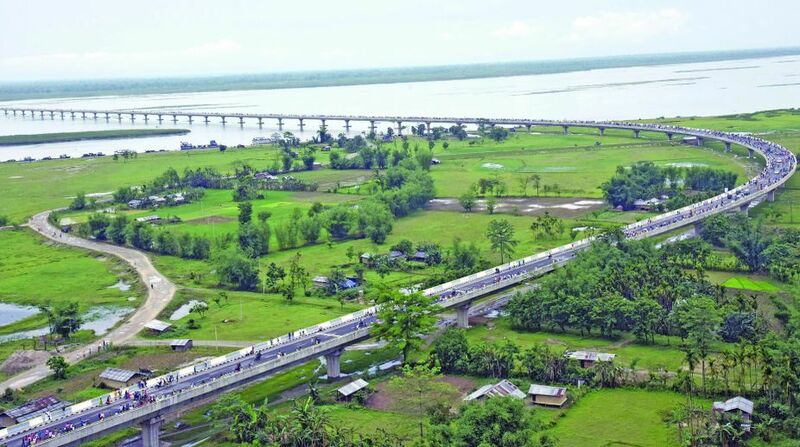 Taking into consideration the slow pace of progress of the much-hyped Kaladan Multi-Modal Transit Transport Project that is supposed to connect the Sittwe port in the Bay of Bengal with Mizoram’s capital town of Aizawl, it would seem the project will take a few more years to be fully operational. It was slated to be ready by 2015 but is unlikely to be commissioned until the end of 2019, if not beyond. 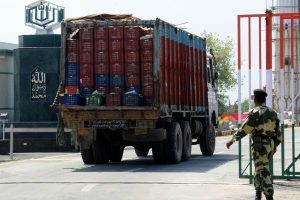 Considered an integral part of the Centre’s Act East Policy, the project comprises development activities of Sittwe port in Myanmar’s Rakhine state; dredging of the Kaladan River along with a road link from Kalewa in the neighbouring country to Aizawl, and finally improve the Aizawl-Guwahati National Highway. The Kaladan (also known as Kolodyne) river originates in central Mizoram and is called the Chhimtuipui in India. It enters Myanmar and crosses Rakhine and Chin before flowing into the sea. The Kaladan in Myanmar is navigable but beyond Paletwa, the river turns shallow and has many sharp curves. Once the project becomes operational, vessels will dock at Sittwe port. From there the cargoes will be transported via the Kaladan River. From Paletwa, those will be carried by trucks to Mizoram. The $484-million project, conceived in 2003 and entirely financed by the Indian government, is expected to bring economic activities in the underdeveloped Myanmarese provinces like Rakhine and Chin along with the North-eastern states of India. Moreover, it has been presumed that it will help counter the growing Chinese influences in Myanmar. But, on the ground, even though the construction of the Sittwe port, widening of the river mouth, dredging of the Kaladan River from Sittwe to Paletwa in Chin province (160 km), construction of office buildings and staff quarters were said to have been completed, some parts of the road construction are yet to be ready. From the Paletwa river terminal to Zorinpui, on the international border (62 km two-lane highway) and then up to Aizawl, the four-lane highway (100 km) needs more fast progress. China continues to take advantage of the situation and it has already made operational a crude oil pipeline, parallel to a commissioned natural gas channel across Myanmar. The crude oil pipeline connects the Kyaukphyu port of Rakhine to Kunming city in the south-western part of China. It brings crude oil from West Asia and Africa through Myanmar to feed the fossil fuel consumers of China. Now, the Beijing administration does not have to depend on the troublesome cargo shipping through the South China Sea (around 5,000 km) for its crude oil imports for the China National Petroleum Corporation-run refineries in Yunnan province. The 770 km China-Myanmar crude oil pipeline (inside Myanmar) is a joint venture of the CNPC (50.95 per cent stake) and Myanmar Oil and Gas Enterprise (49.1per cent). The agreement between the neighbouring countries to build the pipelines was signed in 2009 and subsequently work started the next year. The 793-km natural gas pipeline was ready and made operational by 2015. It carries billion cubic metres of gas from the Shwe offshore field to the southern China localities. Construction of these pipelines faced numerous challenges as various environmental bodies, rights groups and Myanmar outfits opposed the venture citing a number of reasons. But the CNPC claimed that the project was materialised keeping an eye on the environment protection and land restoration. Moreover, emphasis was laid on community development activities like building of schools, hospitals, roads, bridges, power and water supply, telecommunication arrangements et al for the benefit of those affected families across Myanmar. Even though India and Myanmar enjoy a good relationship, the diplomatic ties between Beijing and Rangoon (now the power centre is at Naypyidaw), was also robust as both countries were once under authoritarian rulers. When the Chinese Communist Party led by Mao Zedong emerged victorious in a number of battle fronts in 1949, a semi-democratic government in Rangoon recognised the People’s Republic of China. By 1950, both the countries established formal diplomatic ties. For some time though soon after the collapse of dictator Ne Win’s regime the ties were strained but Beijing found a more favourable friend in the military rulers of Myanmar. When the international community isolated the Burmese top general Than Swe, China supported the dictator. Being the largest democracy in the world, India continued opposing the Burmese military generals. In the 1990 general elections, when Aung San Suu Kyi’s National League for Democracy emerged victorious, Than Swe did not accept the verdict and put the lady under house arrest. Then New Delhi had no other option but to keep distance from the government. By then, Myanmar became more dependent on China and it continued till a quasi-democratic government took power at Naypyidaw in 2011. The former Myanmar President, Thein Sein, who took some strong decisions against China, including the suspension of the Beijing-owned Myitsone hydel power project in Kachin province, tried to build closer ties with the USA and European nations. The relationship was made useful by Myanmar’s state counsellor Suu Kyi. As a neighbour and a democracy, India should have had better access to Suu Kyi, who spent some years in New Delhi during her childhood days. She remembered Mahatma Gandhi on numerous occasions. Moreover, her father, General Aung San had deep affection for Netaji Subhas Chandra Bose. But even then, New Delhi did not succeed in reaching out to Naypyidaw, mostly because of India’s unclear foreign policy. Contrary to India, the Chinese government even started playing the role of a peace broker in Myanmar, maintaining secret relationship with its rebel groups like the United Wa State Army, Kachin Independence Army, Myanmar National Democratic Alliance Army et al. Beijing also supports India’s Ulfa (Independent) headed by Paresh Barua who is operating from across the border. Communist China will use the rebels for some more days, it seems. Not for Ulfa’s causes but for distracting the attention of New Delhi from constructive activities.